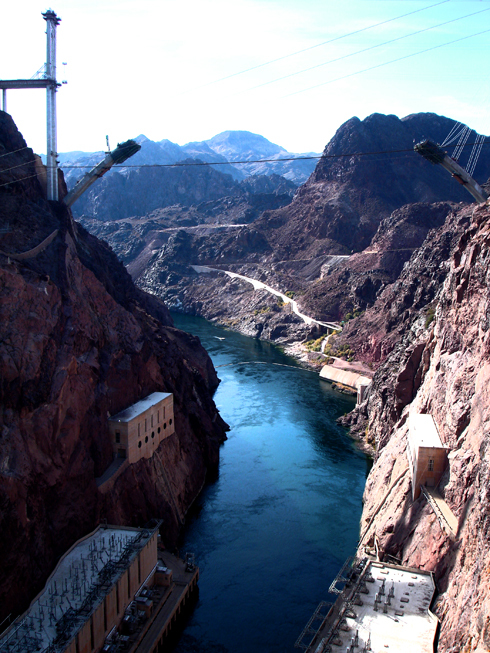 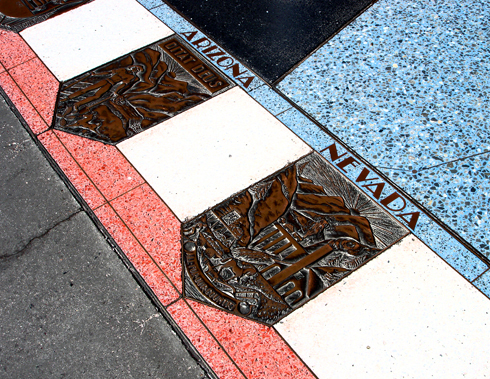 The first time I visited the Hoover Dam was on a trip to Las Vegas in 2008 with my friend Andrea. 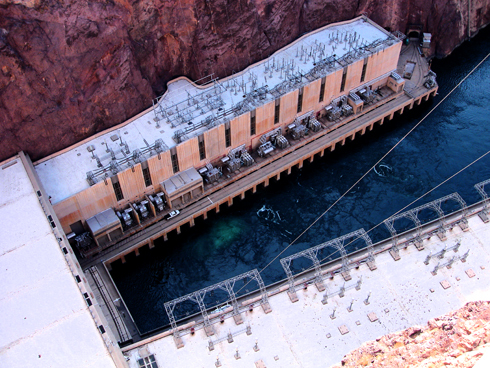 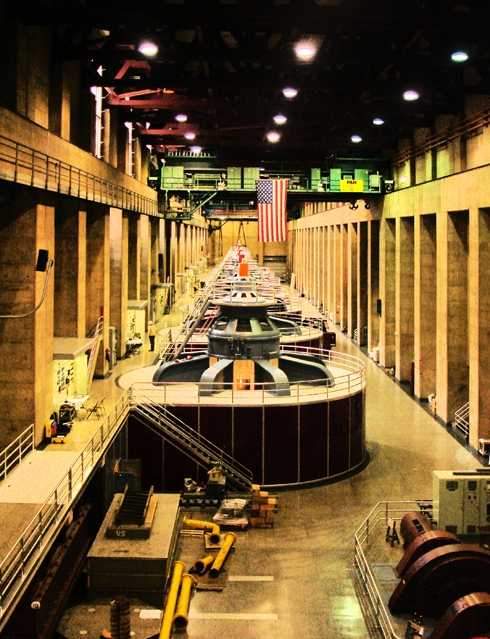 We had Vegas Vacation on the brain and took the tour inside the dam. 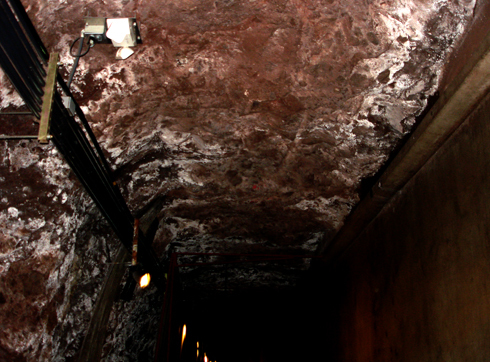 There's not actually a whole lot to see. 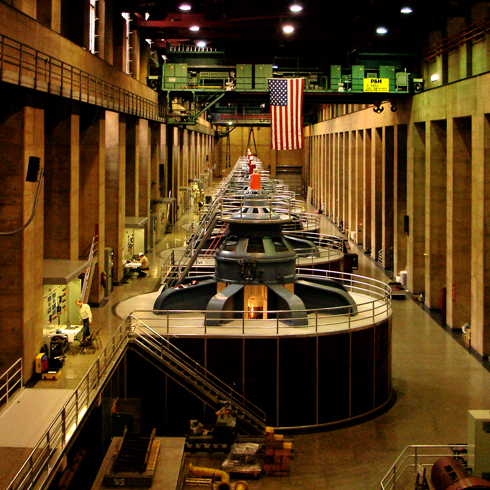 You mostly take an elevator down, walk through a few tunnels, and check out the main room with all of the generators. 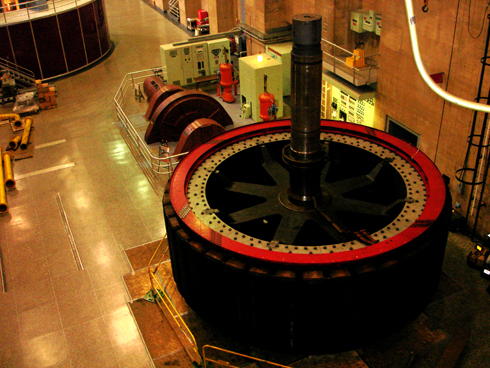 It's an impressive enough operation to see once anyway. 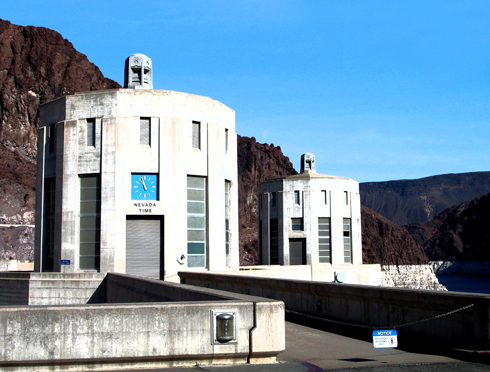 When I went back with Dave in 2010 we didn't bother taking the tour, but had fun walking across the dam. 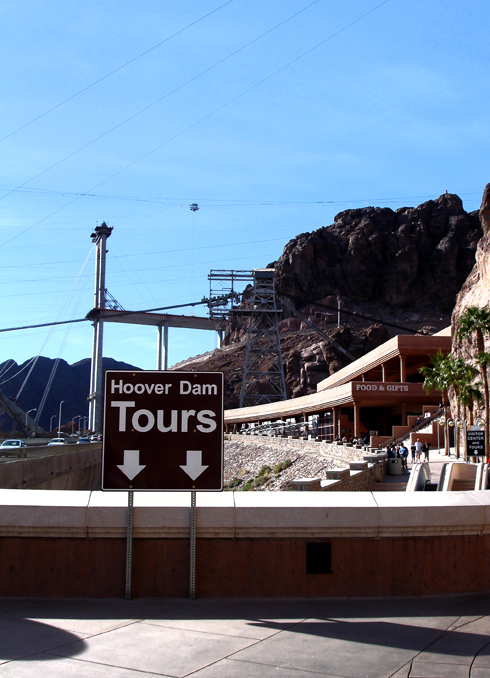 The biggest difference between the visits was actually the progression of the Hoover Dam bypass for the interstate. 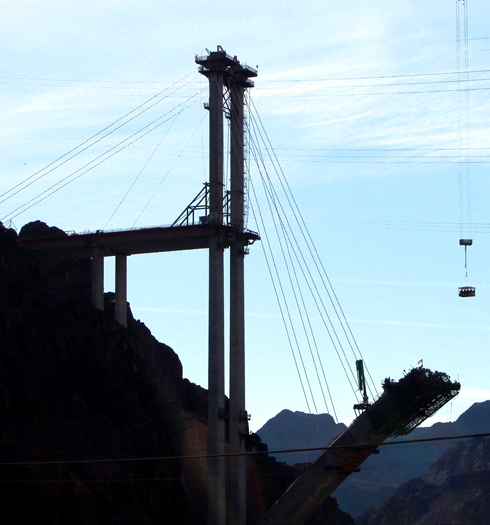 Construction wrapped up only a few weeks after our last visit, and I imagine the view is pretty nice from up there. 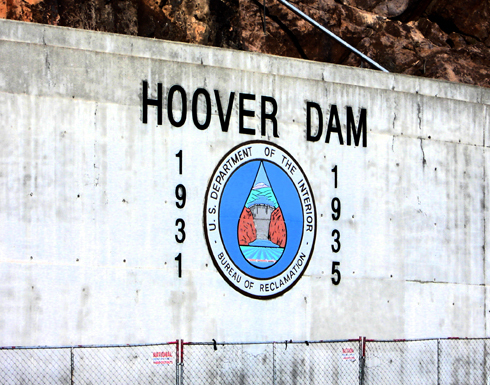 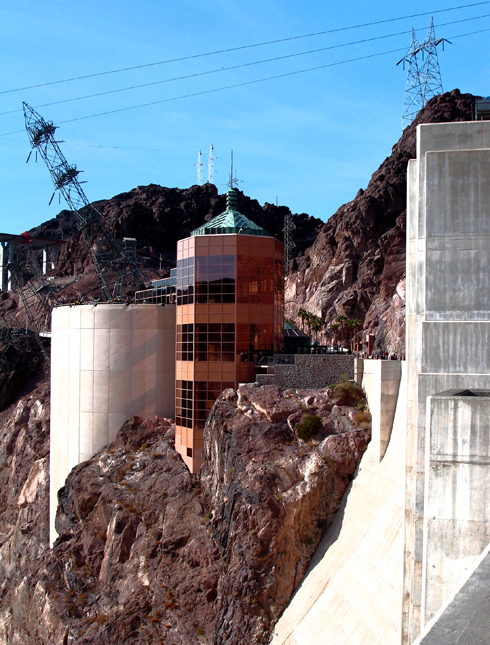 A visit to Hoover Dam is worth your time, though you're best to avoid it on a long weekend as we waited a few hours on the road because the traffic was so bad.